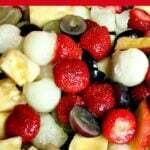 Easy Fresh Fruit Salad, using a wonderful variety of fruits. Optional simple lemon syrup dressing too! 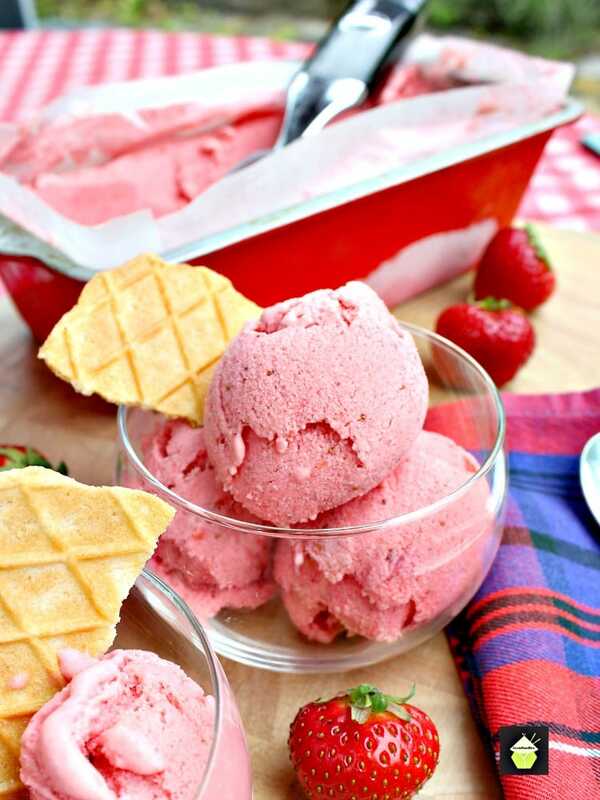 Perfect for a breakfast or as a dessert with a blob of ice cream! 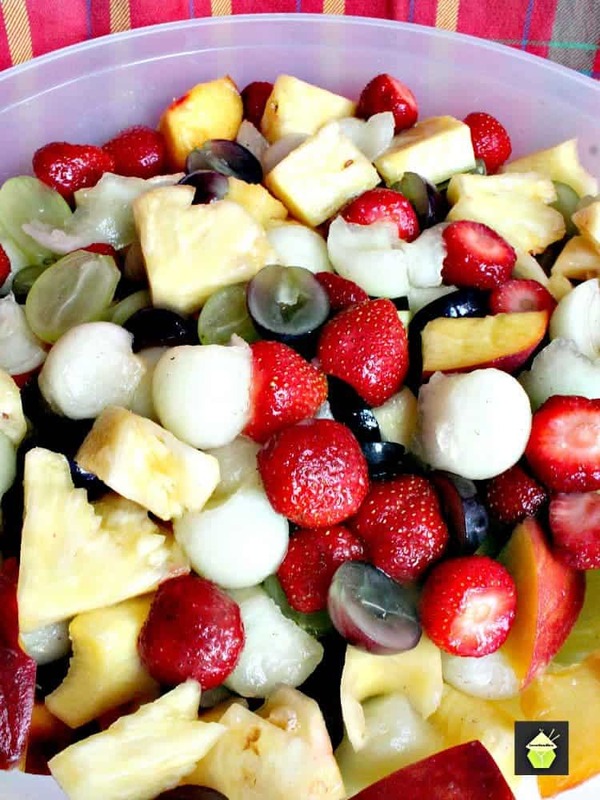 Easy Fresh Fruit Salad! This really is easy and once you’ve made it, you’ll find yourself making it over and over, using whatever fruits are in season! Each time I make a fruit salad, it is different! I like to buy my fruits from the local Farmer’s Market, so it is always a surprise what will be available and what is in season. 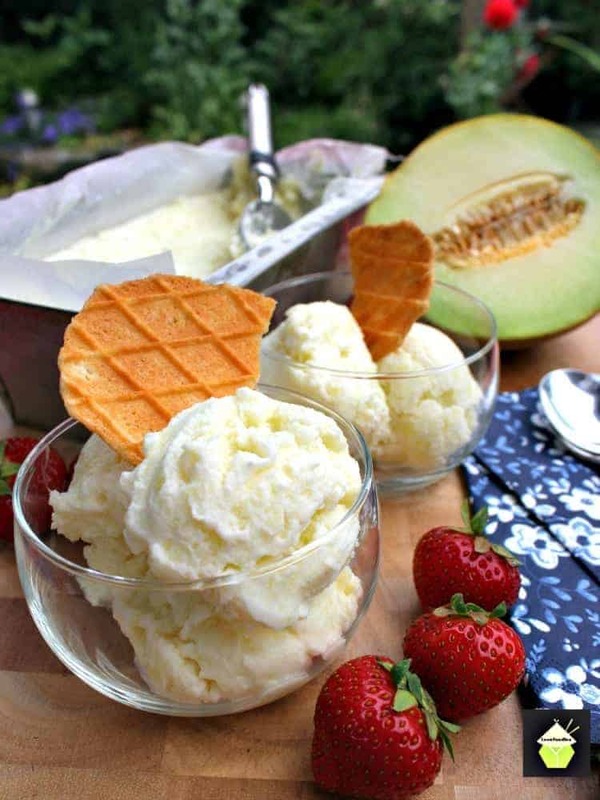 For this recipe, I’ve used pineapple, Cantaloupe melon, strawberries (oh boy! Those were so incredibly sweet and juicy, and the best thing, they were really cheap too! ), red and green grapes, and peaches. 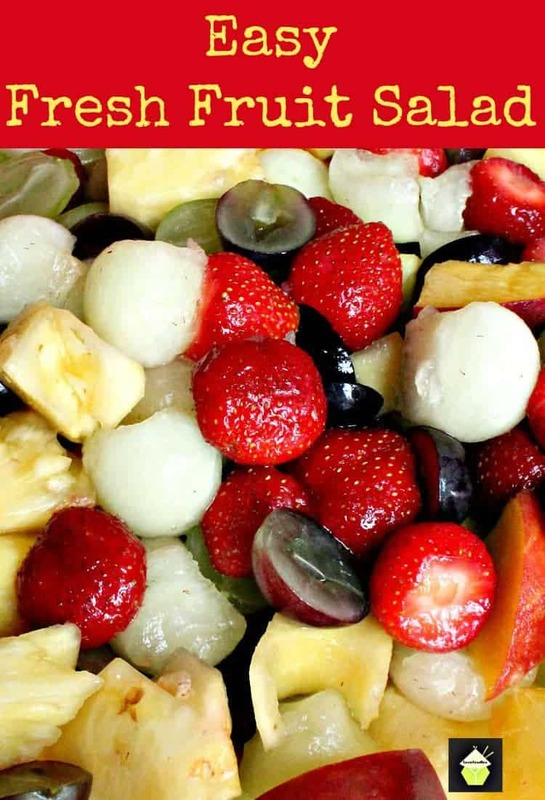 I was making this particular easy fresh fruit salad to take along to a party, so I had in mind fruits with bright, fresh, vibrant colors, and of course juicy and sweet. I didn’t use my basic syrup recipe for this salad, I tasted a piece of each fruit as I was preparing, and everything was so full of flavor and with their own natural sweetness, there wasn’t any need. However, I know, sometimes that is not the case, and fruits can be a little sharp or not so ripe, so feel free to make up our basic syrup recipe and add just before serving if you need to. 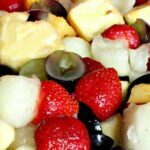 This easy fresh fruit salad can be served with some Creme Fraiche, or perhaps yogurt, ice cream etc, but for me, I like it simply on its own. The textures come from the variety of fruits I’ve used, so again, when you are shopping for your fruit salad ingredients, keep in mind the colors and textures. 1. Ok, this is real easy! Select a suitable serving bowl large enough to hold all your fruit. 2. Prepare all the fruits, I like to cut mine in to bite size pieces. 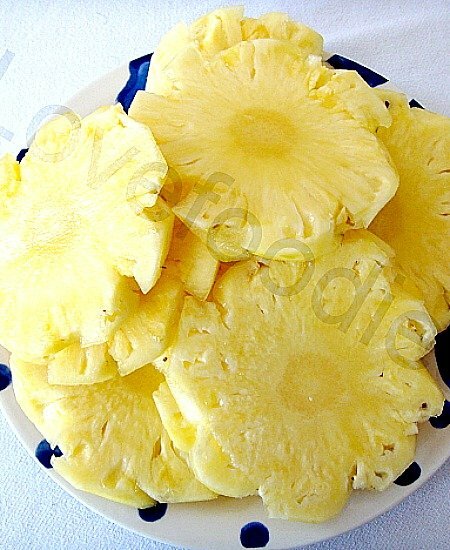 If you are unsure how to prepare a pineapple with minimum waste, come and see our guide here. It’s super! 3. Add all the fruits to the bowl, and squeeze the juice of 1 lemon to the fruits. Then very very gently, toss the fruits so everything is nicely mixed. I like to just use my hands and turn the fruit very gently. That way I don’t damage or bruise the fruit. Cover with plastic wrap or a lid and refrigerate for a few hours or overnight. 4. If you would like to add a little sweetness to the fruit salad, you can use our Basic Syrup recipe. This needs to be allowed to cool, and poured sparingly just before serving. If you add it to the fruit too early, it can make the fruit go slimy so I advise, just add 10 or 20 minutes before serving for best results. In a pan, add the water and sugar and bring to a gentle boil until the sugar has dissolved. Transfer to a jug and allow to completely cool, then it’s ready! Told you it was easy! We’ve got some more great ideas below to enjoy your fresh fruit salad so please do take a look and enjoy! 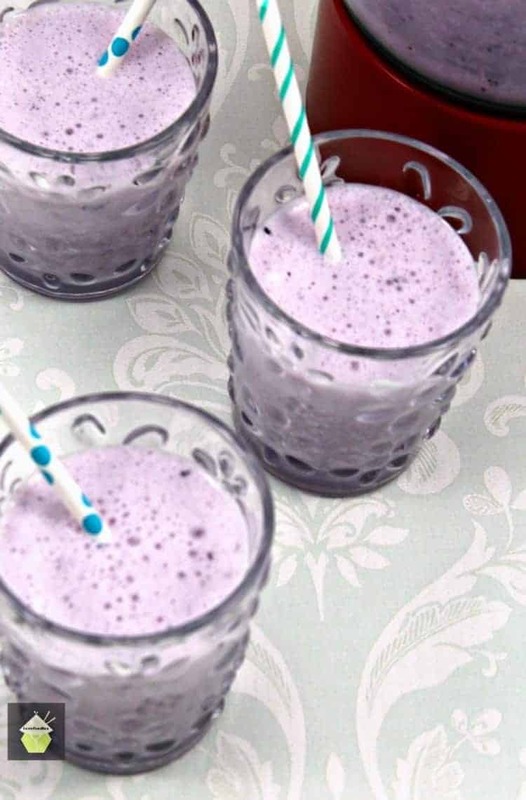 If you have any fruit salad left over, why not try one of our popular creamy smoothies. Simply swap the berry amount for your fruit salad mix. Delicious! 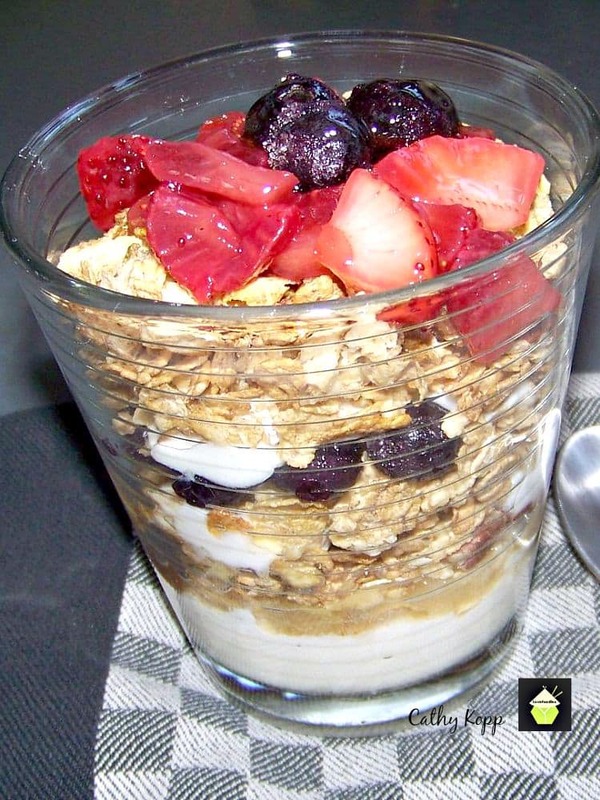 Ever wondered how to make your own yogurt? We’ve got a great recipe for you and it would go lovely with some of your fruit salad for breakfast! 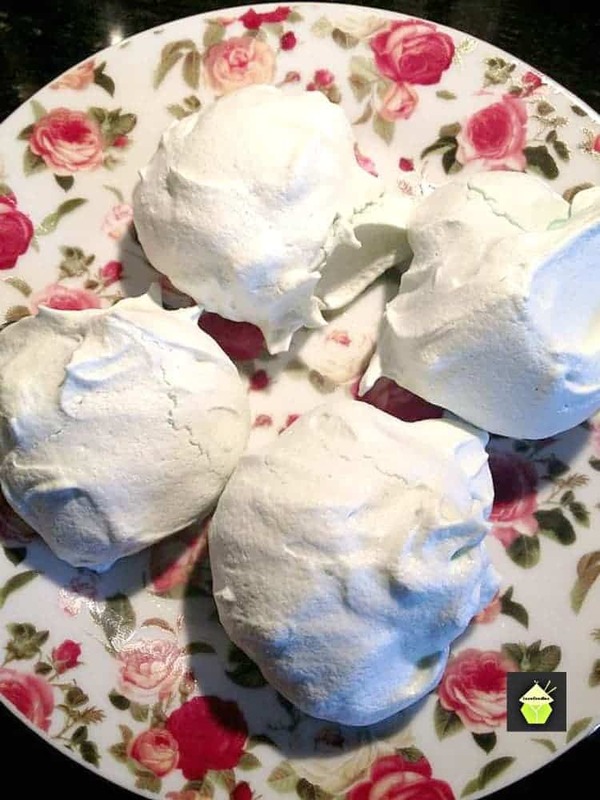 You could also make up some meringues, which you can make ahead of time as they will keep for a couple of weeks in an airtight container, then serve with some fresh fruits salad (drained), and some delicious whipped cream or ice cream. yummy! 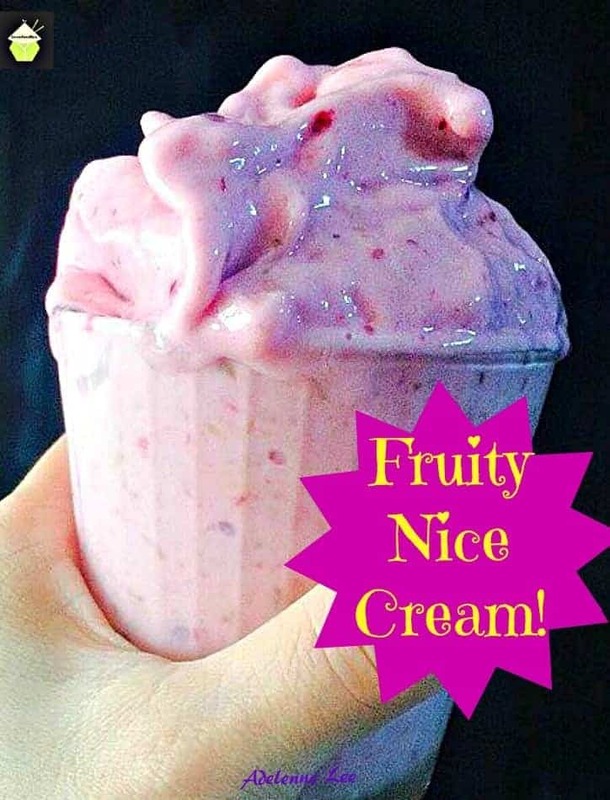 This Fruity Nice Cream is great for the hot summer days and it’s healthy too! The kiddies really love these! Ok, this is real easy! Select a suitable serving bowl large enough to hold all your fruit. Prepare all the fruits, I like to cut mine in to bite size pieces. If you are unsure how to prepare a pineapple with minimum waste, come and see our guide here. It's super! Add all the fruits to the bowl, and squeeze the juice of 1 lemon to the fruits. Then very very gently, toss the fruits so everything is nicely mixed. I like to just use my hands and turn the fruit very gently. That way I don't damage or bruise the fruit. Cover with plastic wrap or a lid and refrigerate for a few hours or over night. If you would like to add a little sweetness to the fruit salad, you can use our Basic Syrup recipe. This needs to be allowed to cool, and poured sparingly just before serving. If you add it to the fruit too early, it can make the fruit go slimy so I advise, just add 10 or 20 minutes before serving for best results. In a pan, add the water and sugar and bring to a gentle boil until the sugar has dissolved. Transfer to a jug and allow to completely cool, then it's ready! Told you it was easy!